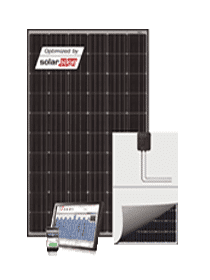 The smart 300Wp Black frame ONLY smart module from JA Solar. Smart use of roof space. PLEASE NOTE THIS MODULE HAS WHITE BACK SHEET AND BLACK FRAME – it’s not all black.